Cost clean your walls varies greatly by region (and even by zip code). Get free estimates from House Cleaning Services in your city. Cost clean your walls varies greatly by region (and even by zip code). Get free estimates from House Cleaning Services in your city. 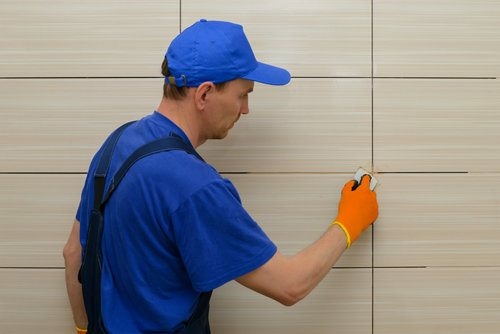 The average cost of a cleaning wall service is $900​. How dirty are the walls? How much does it cost clean your walls? Wall cleaning services remove dirt, grease, nicotine stains, odors, mites and other unsightly debris from wall surfaces. It can be done to prepare for painting, or as an alternative to painting. By removing dirt and stains from the wall surfaces, cleaning makes it so that the walls look brighter and better. Many homeowners find that the resulting look makes repainting unnecessary. If you do wish to repaint, the removal of debris from the walls will provide a smooth canvas for the paint to take hold. Since painting the interior of a 1500 sq. ft. home costs $1700-$3600, and $2500-$3000 for the exterior, wall cleaning is considered an affordable alternative. Additionally, cleaning walls takes less time than painting, and you can get back to occupying freshly cleaned rooms much more quickly than freshly painted rooms. This guide examines the cost of having the walls cleaned in a 1500 sq. ft. home, which is on average $900. Generally, wall cleaning services charge $25-$35 per hour. For a 1500 sq. ft. home, you can expect 2 days of work. Some charge per room, and the average rates start at $70 per room. For larger rooms, you should expect to pay for another hour or two of cleaning. Some companies offer discounted rates if you hire them to clean multiple rooms at once. Washing interior walls is usually done by hand, using special brushes and chemicals. Exterior wall cleaning is often done with a pressure washer, but spots with tough stains may require washing by hand. The cost to clean your home’s walls may be dependent on the wall types: drywall 1, wood, brick, wallpaper, painted, etc. For example, wall cleaning costs $420-$520 per 1000 sq. ft. of brick. To pressure wash the exterior siding of a 1500 sq. ft. home costs an average of $250 total. If your walls are especially dirty, professional wall cleaners may need extra time and materials to clean them. If they have a high level of general dirtiness, they might need to be cleaned more than once. Consider whether your walls have cobwebs, dust, dirt, fingerprints, mold, nicotine, soot, grease and mildew. Walls in need of mold removal will incur a cost of $120-$1500 per 1000 sq. ft.. Some cleaning services use natural, environmentally-friendly, non-toxic products by default, but others may charge an extra fee of $50-$60 if you request them. Many homeowners prefer to use such products because they eliminate the risk of having harmful fumes in the air and on the wall surfaces. 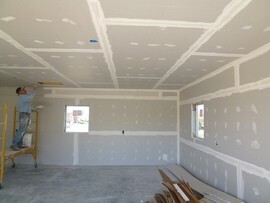 If your home has high ceilings, you can expect another hour of labor to be required ($25-$35). Cleaners must often use ladders to reach the upper portion of walls, and also if they are asked to clean your ceilings. Ceiling fan cleaning can often be added to your wall cleaning services, and typically costs $70-$90 per fan. Kitchen walls are more usually more difficult to clean because they have a higher concentration of grease on them. This comes from oil spattering when cooking food. Grease can be very resistant to cleaning, and may require extra time or special products. Plan for an extra cost of $20-$40 for kitchen wall cleaning. It’s advised to get written estimates from the wall cleaning service before the cleaning begins. This will give you a reference point if the cleaners decide that they need to charge extra for things that came up during the cleaning process. Many wall cleaning services will include the cost of moving larger furniture pieces out of the way. However, some companies charge a flat fee of $100 on top of the cleaning charge for this. Wall hangings and small items will typically need to be moved by you or a separate service provider. If your walls need cleaning as a result of a disaster like a fire or a broken water pipe, your homeowner’s insurance might cover the cost. For example, house fires may require soot removal on the walls, whereas broken water pipes may create the need for mold removal. Wall cleaning can be a DIY project, but it requires a considerable amount of time and effort. You should keep in mind that professional wall cleaning services usually deliver better results in less time. If you clean walls yourself, you’ll need to purchase wall cleaner ($4-$10), as well as buckets ($2), rags ($5 per 1 lb. roll), and cleaning brushes ($2-$15 each). You can also purchase a steam cleaner or wet/dry vacuum for wall cleaning, which generally cost $30-$180. It isn’t recommended that you clean ceilings yourself, as the extended use of ladders is dangerous. How much does it cost clean your walls in my city? Cost clean your walls varies greatly by region (and even by zip code). To get free estimates from local contractors, please indicate yours.